New evidence is coming out that Area 51 was a Soviet conspiracy to destabilize the United States with a flight full of fake aliens. But who was really behind this scheme? An excerpt from Annie Jacobsen’s Area 51 reveals all. This excerpt from chapter two of Jacobsen’s new book details the hunt for the masterminds behind the faked crash. 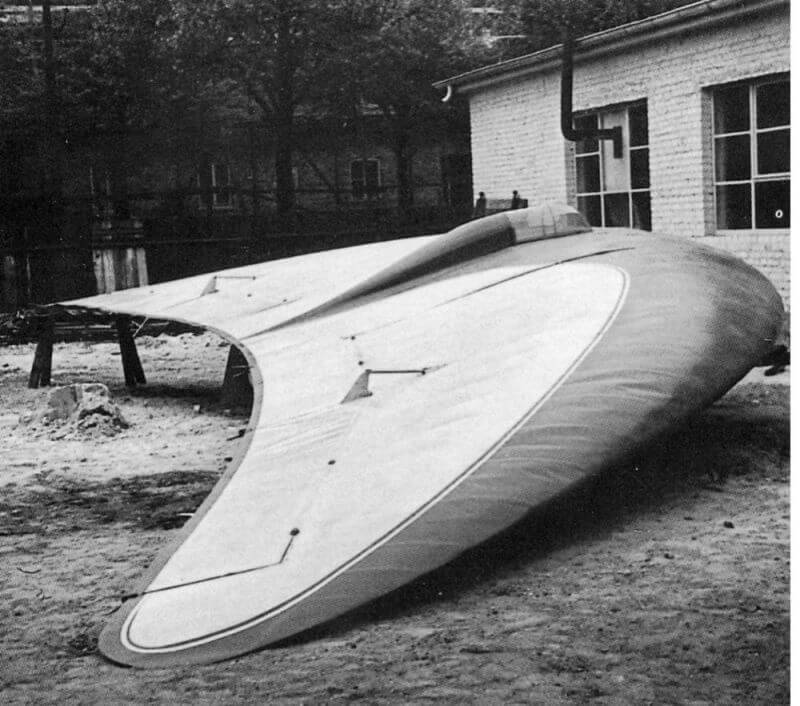 After a “flying disc” with Russian writing stamped inside of it crashed near Roswell, New Mexico in July 1947, U.S. authorities began a frantic hunt for the Horten brothers. These were German scientists who they believed had been responsible for developing such radically advanced technology for the Nazis before the end of World War II. The evidence of whatever had crashed at and around Roswell, New Mexico, in the first week of July in 1947 was gathered together by a Joint Chiefs of Staff technical services unit and secreted away in a manner so clandestine, it followed security protocols established for transporting uranium in the early days of the Manhattan Project. The first order of business was to determine where the technology had come from. The Joint Chiefs of Staff tasked an elite group working under the direct orders of G‑2 Army intelligence to initiate a top secret project called Operation Harass. Based on the testimony of America’s Paperclip scientists, Army intelligence officers believed that the flying disc was the brainchild of two former Third Reich airplane engineers, named Walter and Reimar Horten – now working for the Russian military. Orders were drawn up. The manhunt was on. Walter and Reimar Horten were two aerospace engineers whose importance in seminal aircraft projects had somehow been overlooked when America and the Soviet Union were fighting over scientists at the end of the war. The brothers were the inventors of several of Hitler’s flying- wing aircraft, including one called the Horten 229 or Horten IX, a wing- shaped, tailless airplane that had been developed at a secret facility in Baden- Baden during the war. From the Paperclip scientists at Wright Field, the Army intelligence investigators learned that Hitler was rumored to have been developing a faster- flying aircraft that had been designed by the brothers and was shaped like a saucer. Maybe, the Paperclips said, there had been a later- model Horten in the works before Germany surrendered, meaning that even if Stalin didn’t have the Horten brothers themselves, he could very likely have gotten control of their blueprints and plans. The flying disc that crashed at Roswell had technology more advanced than anything the U.S. Army Air Forces had ever seen. Its propulsion techniques were particularly confounding. What made the craft go so fast? How was it so stealthy and how did trick radar? The disc had appeared on Army radar screens briefly and then suddenly disappeared. The incident at Roswell happened just weeks before the National Security Act, which meant there was no true Central Intelligence Agency to handle the investigation. Instead, hundreds of Counter Intelligence Corps (CIC) officers from the U.S. Army’s European command were dispatched across Germany in search of anyone who knew anything about Walter and Reimar Horten. Officers tracked down and interviewed the brothers’ relatives, colleagues, professors, and acquaintances with an urgency not seen since Operation Alsos, in which Allied Forces sought information about Hitler’s atomic scientists and nuclear programs during the war. A records group of more than three hundred pages of Army intelligence documents reveals many of the details of Operation Harass. They were declassified in 1994, after a researcher named Timothy Cooper filed a request for documents under the Freedom of Information Act. One memo, called “Air Intelligence Guide for Alleged ‘Flying Saucer’ Type Aircraft,” detailed for CIC officers the parameters of the flying saucer technology the military was looking for, features which were evidenced in the craft that crashed at Roswell. The Counter Intelligence Corps’ official 1947– 1948 manhunt for the Horten brothers reads at times like a spy novel and at times like a wild- goose chase. The first real lead in the hunt came from Dr. Adolf Smekal of Frankfurt, who provided CIC with a list of possible informants’ names. Agents were told a dizzying array of alleged facts: Reimar was living in secret in East Prussia; Reimar was living in Göttingen, in what had been the British zone; Reimar had been kidnapped “presumably by the Russians” in the latter part of 1946. If you want to know where Reimar is, one informant said, you must first locate Hannah Reitsch, the famous aviatrix who was living in Bad Hauheim. As for Walter, he was working as a consultant for the French; he was last seen in Frankfurt trying to find work with a university there; he was in Dessau; actually, he was in Russia; he was in Luxembourg, or maybe it was France. One German scientist turned informant chided CIC agents. If they really wanted to know where the Horten brothers were, he said, and what they were capable of, then go ask the American Paperclip scientists living at Wright Field. For nine long months, CIC agents typed up memo after memo relating various theories about where the Horten brothers were, what their flying saucers might have been designed for, and what leads should or should not be pursued. And then, six months into the investigation, on March 12, 1948, along came abrupt news. The Horten brothers had been found. In a memo to the European command of the 970th CIC, Major Earl S. Browning Jr. explained. “The Horten Brothers have been located and interrogated by American Agencies,” Browning said. The Russians had likely found the blueprints of the flying wing after all. “It is Walter Horten’s opinion that the blueprints of the Horten IX may have been found by Russian troops at the Gotha Railroad Car Factory,” the memo read. There is no mention of Reimar Horten, the second brother, in any of the hundreds of pages of documents released to Timothy Cooper as part of his Freedom of Information Act request – despite the fact that both brothers had been confirmed as located and interrogated. Nor is there any mention of what Reimar Horten did or did not say about the later- model Horten flying discs. But one memo mentioned “the Horten X” and another referred to “the Horten 13.” No further details have been provided, and a 2011 Freedom of Information Act request by the author met a dead end. On May 12, 1948, the headquarters of European command sent the director of intelligence at the United States Forces in Austria a puzzling memo. “Walter Horten has admitted his contacts with the Russians,” it said. That was the last mention of the Horten brothers in the Army intelligence’s declassified record for Operation Harass. Reprinted from the book AREA 51 by Annie Jacobsen. Copyright © 2011 by Annie Jacobsen. Reprinted with permission of Little, Brown and Company. All rights reserved.